I subscribe to the Oxford Bottled Beer Database. 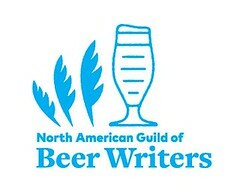 It's an on-line beer review site. I enjoy reading it for several reasons. 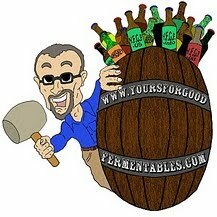 Unlike beeradvocate.com and ratebeer.com (both of which I peruse as well), this site favors well-made beers rather than solely those big, bigger, biggest. Plus, as the site hails from the UK, its reviews are a fascininating glimpse into local beers and preferences. Today, a review of Victory Brewing's Storm King came over. That's unusual in that Victory is, of course, from Pennsylvania, USA. Storm King is one of my favorite impy stouts. Here is the review. Many thanks to Dominic Pinto for kindly bringing us this beer from the states. This is an extremely strong imperial stout from this Pennsylvanian microbrewery. It is rich dark brown/black in colour with a thick, creamy but ephemeral head. Nose is surprisingly light and herbal, consisting of floral hops and lemon with a touch of malt. On the palate it is heavy and richly hoppy but with balancing malt, though much smoother and with less burnt character than other beers of the style. It is quite sour and acidic, though - the hops impart a citrusy quality with strong vinous, resinous overtones, consistent with extremely heavy dry-hopping. Dark chocolate notes are present, with a wine-like alcohol kick, but overall the beer is far lighter and smoother than its strength would suggest. Aftertaste is long and bitter, with a touch of wine and some treacley sweetness. A fabulous strong stout, pleasantly complex and perilously drinkable.